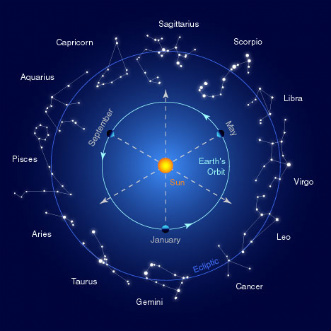 The difference between Astrology and Astronomy is that Astrology teaches about the Asiatic people’s characteristics, talents, actions and reactions, also sociology, economics and global geography or space and time. Astrology is the science of the influence of the heavenly bodies as they affect the nations and groups of people, land, sun, moon, and stars. Astrology is about the person or people, sun, moon, and stars. It is the stairway leading into the deeper self of man and woman. In Astronomy, the same principles apply to all the stars, suns, planets and moons, differing in manifestation because of size, motion, density, and relative place. 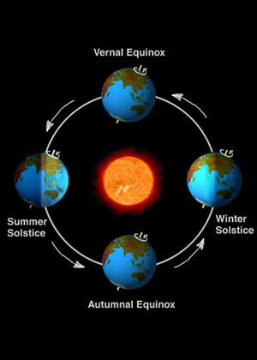 The earth floats in the midst of a vortex, the outer extremity of which is somewhat beyond the moon, the vortex is globular corresponding to the form of the earth. Some vortex or globular are not closed at the end for some are open at both ends. The vortex (whirlpool in space = motion + mass) turns the earth on its axis, with its own axial motion. The outer part of the vortex has a greater velocity than near the earth’s surface, which has an axial motion of one thousand miles an hour. The moon has a 'vortex' surrounding it, which has a 'rotation axially once a month’; being an open vortex the moon does not turn. If a vortex does not have contact with a planet then it is called a dead planet. From the swiftest part of the earth’s vortex, its force is toward the earth’s center, if the earth were not present, the vortex 'would make one presently, the vortex is the foundation of the planets. Things in space and or the Atmosphere does not fall to the earth because of magnetism, but they are 'driven toward the center of the vortex, by the power of the solar space vortex. The Prophets taught that the vortex formed the earth as a ball of fire, and by this power is the warmth of the surface of the earth manufactured to this day, heat does not come from the sun to the earth, and the schools teach the superstitions of the European, who believed all things, came from the sun. They also talk about the attraction or gravitation of the sun extending to other planets. If you cast water on a dusty floor and the drops of water will assume globular forms, the globular form is natural to a liquid, and it is caused by a power external to its self. If you approach one of the drops of water with a piece of cloth, the globe of water will climb into the cloth. The water had no attraction for the cloth or the cloth for the water. The power that accomplished this was external to both and was the same as the vortex that brought the earth its center and maintained it therein, when the cloth approaches the drop of water it breaks the vortex and the water goes into divisible parts and on into the cloth, in search of the negative polarity. That which is a physical substance has length breadth and thickness, remains so by no power of its own but by the vortex. Therefore, when a man eats, breathes, and drinks water these elements go into dissolution and the heat is eliminated and lodges itself in man. For if certain herbs pile together and they form dissolution, their heat is spontaneous combustion. Wherein the Europeans have taught erroneously that heat comes from the sun, as may be proven that so-called heat is created at the expense of destroying something, which is called combustion. There is not anything in the universe that can give off forever without receiving a supply forever. The heat had to be stored up first in all things in heaven or earth before it could be liberated. When a man burns a stick of wood, he can produce no more heat from it than what was already stored in it. Allowing the sun to be four and a half million miles in diameter, giving it fifty percent of the burning capacity and it would be entirely consumed in eighty-thousand years! To think that heat exists of itself is folly to suppose that heat can be produced forever without supply is not supported by any fact in heaven or earth. Friction produces heat but it is because the abrasion liberates the stored up vortexes heat. The same errors concerning the light of the moon have been made. The superstitions of the Europeans still cling to the philosophers. Finding a coincidence in the tides with certain phases of the moon, they have erroneously attributed the cause of tides to the power of attraction in the moon manifesting on the ocean, which is taught to this day as sound philosophy. Attractions exist not in any physical substance as a separate thing. There is not any substance of attraction or gravitation, these powers are the manifestation of the vortex. If the vortex is charged into a piece of steel, it is called a magnet, because it will draw its own kind to itself. When two pieces of steel, (one attracting the other) have been charged with the power of the vortex in proportion to their dimensions this is a magnetic force. If one of the pieces of steel is twice the size of the other, its magnetic force will be two times as powerful. The true form of a magnet to manifest the greatest positive and greatest negative force should be a triangle after the manner of a line of the vortex from the equatorial surface of the earth to its center and then toward the North Pole. By having two or more with their poles together, a square is produced, which is now balanced within the emissions of the vortex. By suspending a ball of magnetic iron alongside a suspended cup of water, it will be discovered there is no magnetic attraction between them no more than between two cups of water, or between two vessels of clay. Were there such things, as magnetic attraction between iron and water or between water and water, a still further discrepancy would result? Admitting the general parts of the moon as to iron and stone and clay and water, to be alike an un-alike unto the physical earth. The power of the magnetic attraction of the earth, as against the moon’s to hold the tides from rising, would be in the ratio of the different sizes of the two bodies, and their respective distances from the water contended for. In which case, there would be more than four thousand million times advantage of power in the earth, for if we give the same magnetic equivalent to each, we must give to each a decrease in proportion to the square of the distance of their centers from the point in contention. The same philosophy holds concerning the sun and to Jupiter and Saturn and Mars, and all other planets, making allowance for their different densities and velocities. As to the so-called attraction between two earth substances, like granite, sandstone, lead, gold, clay, and water, it is far less than between two steel magnets. Wherein, it has been observed that it is utterly impossible for an attractive force to exert from one planet to another, or even from a planet to its own satellite. Even if we use the most extravagant base of measurement on the sun, we will see this supposed attractive force, does not extend to the earth by more than seventy-million miles, wherein they have taught an error in place of truth! The Christian Astronomers are the stargazers who go to heaven by way of an expensive telescope and promulgate that which they imagine living on the planets. Such philosophy cannot help solve our economic and social problems, the real sun, moon, and stars dwell in the Asiatic family. Astrology erases all beliefs and opinions of superstition, confusion, religious mystery, false fear, and idol or image worship. Astrology has always involved this universal fact that God and Earth in the course of one-second can manifest the sun moon and stars on the earth without employing a telescope. Therefore, man and woman comprise the supreme manifestation of the whole of creation space and time that need no doctrine of religious mystery fear and superstition, to influence them to employ that which is right. Because the science of Astrology, man woman child, fire, air, water, earth, and plants constitute the great force of creation often referred to in science as atomic energy or voltage, electromagnet, and current. Remember the Asiatic body contains all the elements of nature; we are what we eat, drink, inhale and exhale. Therefore, all energy generates from prana and the power of the chakras, for man and Mind are one. The physical bodies of people are the only moving planets or heavenly bodies in our universe, people are planets, everything is governed, by natural laws. Above and below, all obey those by which they manifest, and when these laws are UN-comprehended, any phenomenon seems mysterious. Progression depends upon knowledge, progression must be founded on knowledge, only through knowledge of self can one expect to progress, all knowledge is based on experience. We send or go to objects by way of walking, riding, flying, sailing, observation, mathematics and vibrations. The universal code of facts perfection and the guidance of practical knowledge wisdom and understanding of life are comprised from one to nine and or from one to twenty-six; this is the understanding of life from the womb to the tomb.